As we age, we lose calcium and other minerals from our bones. As a result, our bone density lowers, with our bones becoming thinner and more fragile. According to the National Osteoporosis Foundation, about 44 million Americans have bone loss, meaning that they’re at higher risk of breaking a bone. Fortunately, there are some nutritious drinks that can help you grow strong bones and maintain them as you age. They have many overall health benefits, too—some are excellent for dieters, for example. A lot of people drink soy milk on a daily basis. 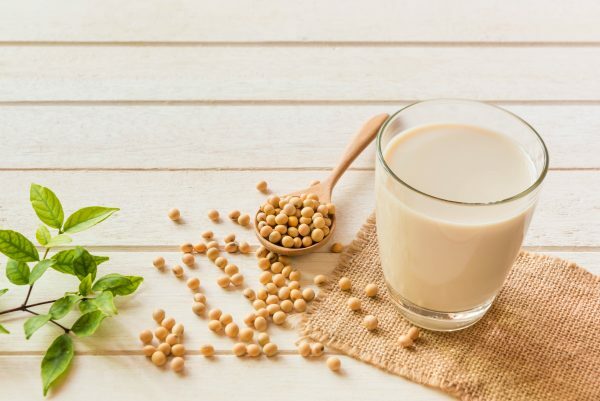 While some chose soy milk as a substitute for cow’s milk because they are vegan or lactose intolerant, others may choose soy milk for its many health benefits. Rich in protein and calcium, soy milk is an excellent bone-builder that can be added to any diet. The monounsaturated fat in soy milk not only helps prevent blood fat from increasing, but it also inhibits intestinal fat and cholesterol absorption. It’s also loaded with fat-burning vitamins. From just one cup of soy milk, you can get 50 percent of your recommended daily intake of vitamin B12, which you need in order to burn off fat and energize the body. The amount of calcium in soy milk is usually much lower than that in cow’s milk. However, nowadays most brands of soy milk are fortified with calcium. Depending on the brand, you may be able to get about the same amount of calcium from a glass of calcium-fortified soy milk as you would from a glass of regular cow’s milk. In terms of balance of protein, carbohydrates, and fat, cow’s milk is better than almond milk. But when it comes to bone health benefits, almond is definitely the superior drink. Almond milk contains calcium, which is necessary for growing and maintaining teeth and bones. 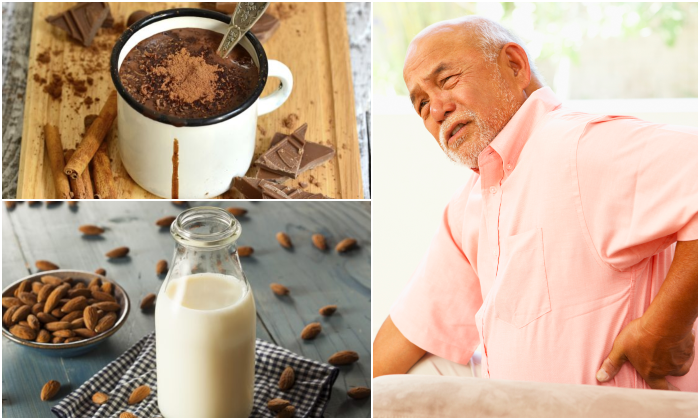 One serving of almond milk contains 30 percent of the daily requirement of calcium, which functions together with other nutrients such as vitamin D to make sure our bones last well into our old age. Almond milk is also high in omega 3 fatty acids, which help lower your bad cholesterol. 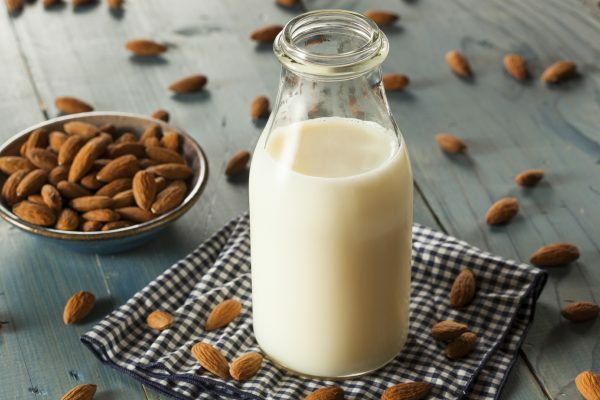 In fact, since almond milk is a plant product, it contains little carbohydrates, no cholesterol and no saturated fat, making it an attractive choice for people with diabetes. 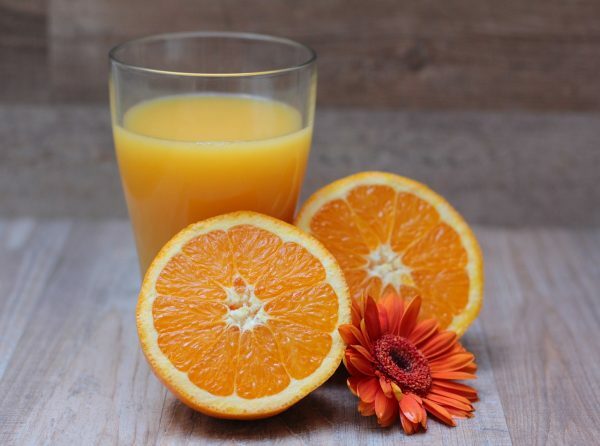 Orange juice you can find in markets doesn’t necessarily contain vitamin D or calcium. To maximize the health benefits, you may want to make sure that the brand you choose has been fortified with these two nutrients. Also be wary of portion sizes in order to limit your daily intake of sugar. 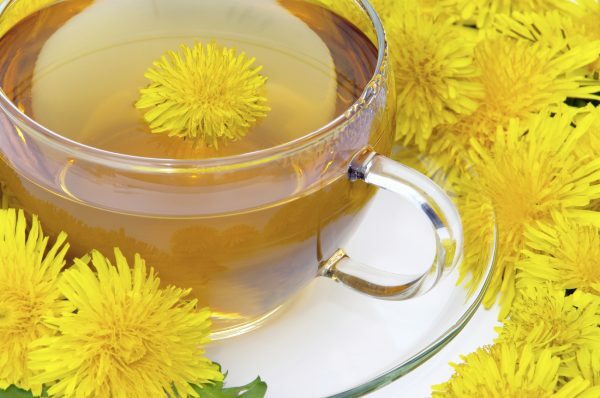 They may be just a bunch of annoying weeds in your lawn, but in some parts of the world, dandelions have historically been used to make healthy, delicious tea. Both dandelion greens and dandelion roots are loaded with vitamins and minerals that your body needs to maintain bone health. They are particularly high in vitamins A and C. Dandelion tea also reduces inflammation and offers bone-restoring antioxidants. You can either buy fresh greens at markets or you can grow your own. If you harvest greens, choose only young, small leaves to limit bitterness. 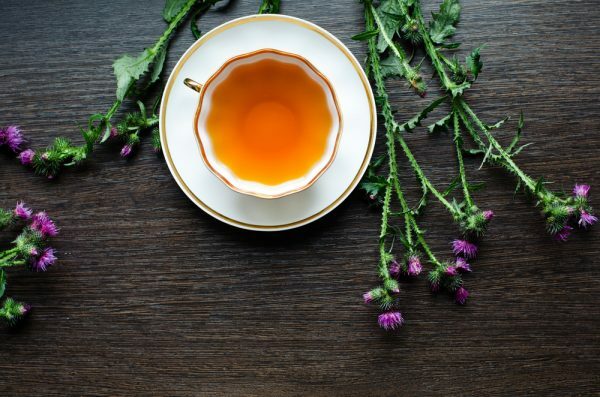 Milk thistle has a long history of being used to treat liver disorders and prevent liver failure from snake-bites and toxic mushrooms. It may also play an essential role in improving bone health. In a 2013 study which looked specifically at bone loss caused by a deficiency in estrogen, milk thistle was proved to be effective in preventing the deterioration of bones. Although it’s not yet clear whether milk thistle is equally beneficial for bone loss with a different cause, you may still want to take advantage of its powerful liver-cleansing effects for a well-functioning liver to remove bone-damaging toxins. If you love dark chocolate, you’re lucky because you probably have already taking advantage of its many health benefits. Dark chocolate is loaded with magnesium, a mineral that’s crucial to building strong bones. Bone density and magnesium go hand in hand. Without enough magnesium, bone nutrients like calcium and vitamin D will not be converted into their active form that your body can properly absorb. Unfortunately, the magnesium content of your bones decreases as you age. In addition, heavy sugar and alcohol intake causes you to lose magnesium through your urine. 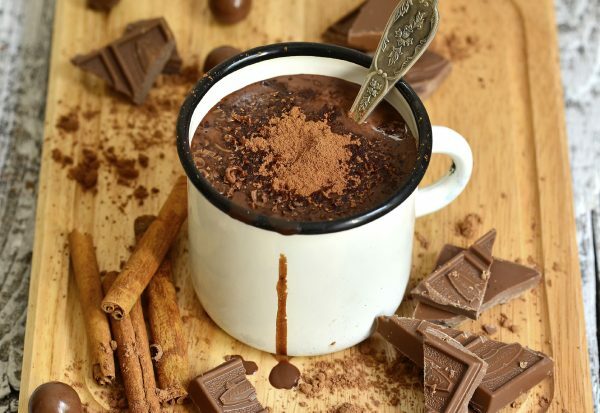 Drinking dark chocolate can help fulfill your magnesium needs, especially if you eat a high-calcium, low-magnesium diet like most Americans do. When life hands you lemons, make lemon water and use it to strengthen your bones. 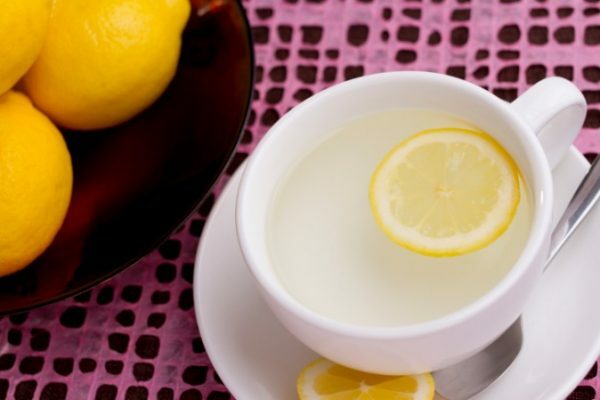 Although lemon water has an acidic pH, it actually produces alkaline byproducts once it has been metabolized, offering a risk-free way to maintain bone health. In addition to being alkalizing, lemons contain vitamin C, calcium, magnesium and potassium. Vitamin C is necessary for the production of collagen, which maintains bones and cartilage. Potassium supports bone health by neutralizing metabolic acids, thus conserving the body’s calcium stores. It also reduces calcium loss through urine. The nutrients in lemon and lemon water have a positive effect on the liver too. Vitamin C promotes the production of glutathione, a powerful antioxidant that acts as a detoxifying agent in the liver. Studies have shown chamomile tea to be effective in dealing with insomnia. But this amazing, daisy-like herb can do much more than help you catch some Zs. Chamomile tea is rich in antioxidant flavonoid including apigenin, which effectively relieves stress and has a sedative effect. This same flavonoid keeps cortisol levels in check, too, protecting bones from the damaging effects of this stress hormone. 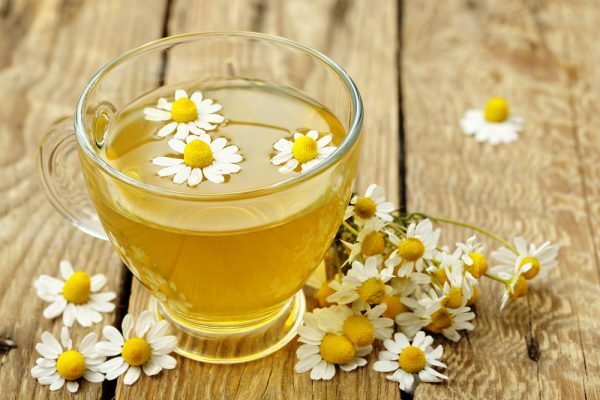 Chamomile also boasts another antioxidant flavonoid called luteolin, which calms muscles spasms, lowers blood pressure, and boosts mineral levels in bone cells, reducing the risk of bone fracture. Maybe you really need that cup of coffee to start your day, just like hundreds of millions of coffee drinkers worldwide. But coffee is acidifying, which means it accelerates bone loss, especially if consumed in excess. The good new is that you don’t have to give up your morning coffee. But in order not to hinder your efforts to build strong bones, you should try to maintain a bone-friendly balance by limiting your consumption and using alternative drinks when you can. The intensity of the loading needs to increase over time to build strength. When a triple jumper's heel hits the ground, the force is around 15 times their body weight – or the weight of a small car.